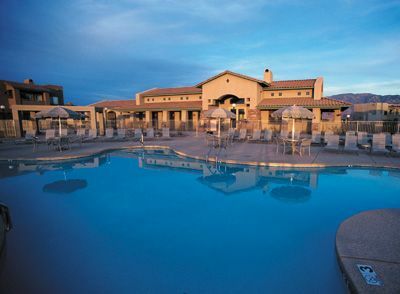 The WorldMark Rancho Vistoso is one of the best resorts in Arizona. 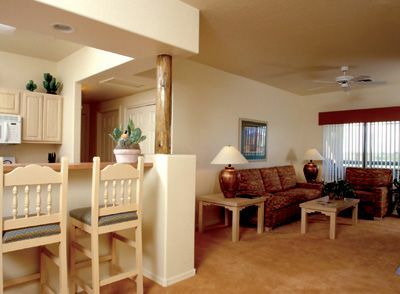 Situated in the breathtaking Oro Valley, these units are a great choice for just a couple or the whole family. These timeshares are in a prime location for nature lovers. Nestled among the Catalina Mountains, the lush greenery and rich desert scenery is nothing short of paradise. The warm setting is only a small part of what WorldMark Rancho Vistoso has to offer. The area is an oasis of exciting activities that will keep you busy for hours on end. Shopping, exploring and some of the best eating you will ever taste are just minutes away. Many people find that renting a timeshare is superior to the standard hotel stay. Timeshares often have much more to offer in terms of amenities, and for around the same cost. Timeshares offer a great deal more living space than hotels, which often have tight quarters and lack flexibility. Full kitchens, bedrooms, and living rooms are standard features with timeshares. The WorldMark Rancho Vistoso offers many features not found at the average hotel. Cost is another factor when considering a timeshare. While hotels charge outlandish daily rates, timeshares charge an annual fee for the unit upkeep. This resort is part of a club that offers owners a flexible point system. This system, unlike other timeshares, affords many additional options, including the ability to stay for shorter or longer durations. Another advantage is the points may be used at any other resort within the club. 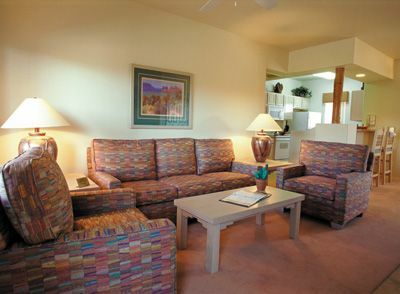 These timeshares have a variety of great features such as cable television, CD stereo, free internet, washer and dryer. Units also have a balcony, full kitchens with microwave, coffee maker, refrigerator, and toaster oven. The many fun on site activities include a children's pool, arcade with video games, pool and ping-pong table, and outdoor playground. There is also a fitness center equipped with a full range of exercise machines. Gas barbeque grills are available for guests who want to treat their families and friends to steaks and burgers. This gorgeous resort is within a short distance of many popular Arizona attractions. Guests can enjoy the nearby horseback riding, golf, and a tour of the Pima Air & Space Museum, which also has a WWII military barrack. Other wonderful places to see include Historic Downtown Tucson, which has many historic theaters, shopping areas, and restaurants. Vacationers can also tour the unique, self containing Biosphere II. Individuals who are in the market to buy, rent or sell a timeshare should definitely consider the WorldMark Rancho Vistoso. This resort is a great place to relax and with ownership, your dreams will come true. 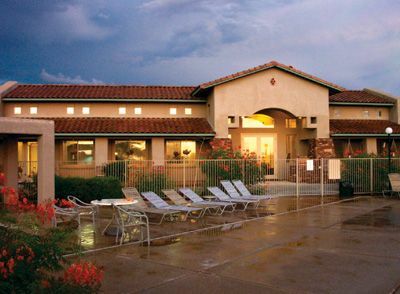 If you want to buy, rent or sell a timeshare at WorldMark Rancho Vistoso, you have come to the right place! BuyATimeshare.com is the leading for-sale, by-owner site that brings buyers and sellers together. If you have any questions about our services, a specialist will be happy to answer any questions you may have. Contact WorldMark Rancho Vistoso Specialist Today! Resort was very well maintained and had all the amenities we required. There were many places nearby to shop and eat. It was within easy driving distance of many attractions in the southeast Arizona area. The staff was very professional and helpful.